The first of hopefully nine recaps about the day’s action at the World Championships. That is, if my alarm clock keeps working and the streams keep streaming. Mo Farah is now six for seven in global championships since 2011. The Kenyan trio of Bedan Karoki, Geoffrey Kamworor and Paul Tanui made it a bit more interesting than expected, but ultimately the race turned into a carbon copy of what Farah has done since his ascent in 2011. The Kenyans rotated the lead in the front with laps of 64 and 65 seconds and went through the 5,000m mark in 13:40. That’s faster than a dawdle, though not nearly enough to faze Farah who remained comfortably in the group as the pack shrunk down to five runners with Farah, Kamworor, Karoki, Tanui and Galen Rupp. 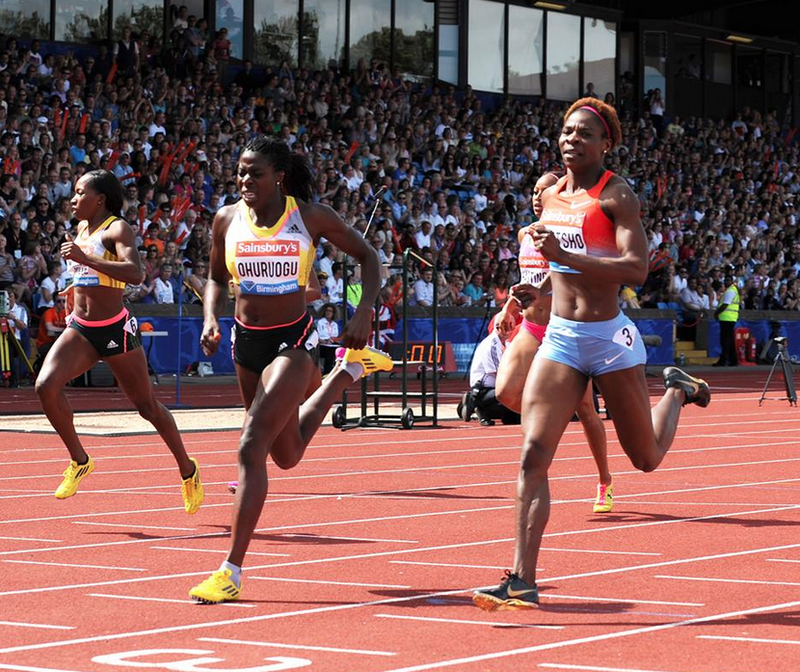 Farah gained control over the final laps and the pace remained stagnant until their were two laps left. With 400 meters remaining, Farah moved to the front, stumbled over Kamworor’s legs and then kicked home in 54 seconds to win in 27:01. After the race, a commentator on Eurosport said he wished the Kenyans did more to disrupt Farah’s rhythm. I’m not sure what he had in mind, but this is about as coordinated a challenge as they could have possibly mounted. The “team tactics” argument overlooks the fact that Farah is a really good time-trial runner as well as a kicker. You can push the pace early, but all that means is that Farah is going to beat you AND run a fast time. I guess you could hope that one runner engages in a ritual sacrifice to the 10,000m gods and makes extreme surges throughout the race, but that assumes that 1) someone is going to willingly give up their own chance at a medal for the sake of “teammates” who they may not train with or have any real interest of helping beyond trading the lead with them a few times in the beginning of the race and 2) Farah would be naive enough to fall into that sort of trap. Farah is just better than everyone else. Fast race, slow race, it doesn’t matter. Kamworor hung on for second and Rupp fell off the pace and finished fifth. Prelim heats are an exercise in showing your competition that you are able to run fast, while doing the least amount of work possible. Not surprisingly, Justin Gatlin is very good at that. He ran 9.83 with a +2.1 wind to lead all qualifiers and spent a decent portion of the race looking around. Usain Bolt struggled again out of the blocks, but still posted a 9.96 into a slight headwind. Advantage Gatlin so far. -The biggest surprise was Bershawn Jackson of the United States finishing a non-qualifying seventh in the opening heats of the 400m hurdles. He’s been the most consistent athlete in that event all season. The prelims in Beijing are on in the evening here on the west coast. Nothing like staying up late to watch David Rudisha run 1:48 and Dibaba run 4:02! -The marathon is the only event at the World Championships that doesn’t really decide who the best in the year is…that distinction lies with the World Marathon Majors. However, this year’s race looked great on paper with Dennis Kimetto, Wilson Kipsang and Lelisa Desisa on the start list. That is three of the top five marathoners in the world and they were all racing for free (or relatively free) in Beijing. None of them ran well. Kimetto and Kipsang didn’t finish and Desisa took seventh in 2:14:54. The hot, humid conditions led to 25 DNFs overall (37% of the starters didn’t finish). It’s hard to tell how much the big three cared about a race like this when the big money marathons in the fall are just a few months away. Undoubtedly they wanted gold otherwise they wouldn’t have entered. But when the race got difficult, or the conditions became apparent, it’s understandable that they would back off and save it for a better day. Ghirmay Ghebreslassie of Eritrea ran 2:12:38 to take the win. Yemane Tsegay and Munyo Mutai took home silver and bronze. 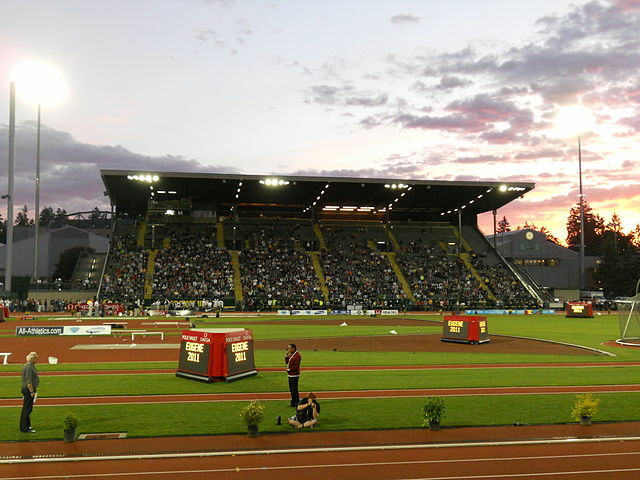 –No shockers in the men’s steeplechase prelims. The four Kenyans advanced as did all three Americans. -Amel Tuka, Mohammad Aman, Nijel Amos and Ferguson Rotich all won their heats in the men’s 800. Cas Loxsom did not qualify to the next rough, though Erik Sowinski and Clayton Murphy both qualified.